Are you suffering from a stuffy nose? Itchy eyes? Endless sneezing? Overall-dear-god-why-won’t-it-stop-misery? 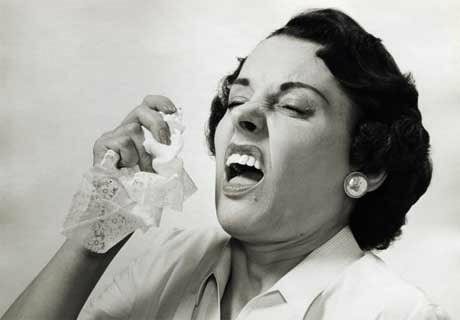 It could be the flu… or it could be allergies! On today’s show, K+K explore our immune system’s response to airborne pollen, the specific mechanisms inside the body that make those of us with allergies feel so awful, and just why the immune system attacks innocent little pollen in the first place.